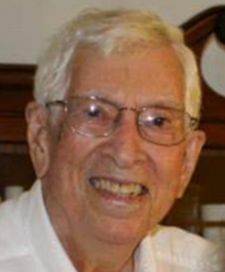 Dale Cornish Cooper, age 96 of Eden, passed away on Sunday April 7, 2019 at Hospice Home of Rockingham County. Mr. Cooper was born February 3, 1923 in Rockingham County to the late William A. Cooper and Elizabeth Smith Cooper. Mr. Cooper was a WWII Army 1st Lieutenant Veteran. He was a graduate of Wake Forest University and received his Doctorate of Business from UNCG. He was retired from Pinehurst Community College as Dean of Business. Mr. Cooper was a member of First Baptist Church of Eden. Preceding him in death along with his parents was wife, Earline Winn Cooper; brother, William A. Cooper, Jr. and sister, Hilda Raye Cooper. Surviving are sons, David Cornish Cooper of Lexington, KY and William "Bill" Henry Cooper and wife Cathy of Eden; 2 grandchildren and 8 great grandchildren; sister, Mary Cooper Pennington of Eden. Memorial condtributions may be offered to the Eden Library.